Islam comes from an Arabic word meaning “submission” or “surrender.” The Prophet Muhammad’s message of Islam called humankind to recognize the authority of the one God, and to align one’s life with the path of Islam. In Greater Boston, Islam encompasses a diverse community of over 50,000 adherents served by nearly fifty different mosques, schools, and community organizations. Originally composed primarily of African-American converts, the Muslim population of Greater Boston now includes immigrants from the Middle East, North Africa, South Asia, and Southeast Asia. The landmark Islamic Society of Boston Cultural Center in Roxbury is but one example of the ways in which this diverse community is building a vibrant future in Greater Boston. On a Friday afternoon in Dorchester, a group of Muslim men and women come together for Ju’mah prayers at Masjid al-Qur’an. Seated in a semi-circle around the minbar (pulpit), men in work clothes and women in headscarves listen attentively as a young man delivers the khutbah (sermon). Changing freely from English to Arabic and back again, the khutbah focuses on the importance of community, and the need for Muslims to come together as one. At the Islamic Bookstore on Shawmut Avenue, parents purchase educational toys designed to instill Muslim values in their children. At Baraka Pizzeria in Braintree, guests select from a fully halal menu that includes standard American fast food as well as traditional Middle Eastern fare, as others perform their daily prayers in the back of the restaurant. Across Boston, Muslims form a vibrant, living community. 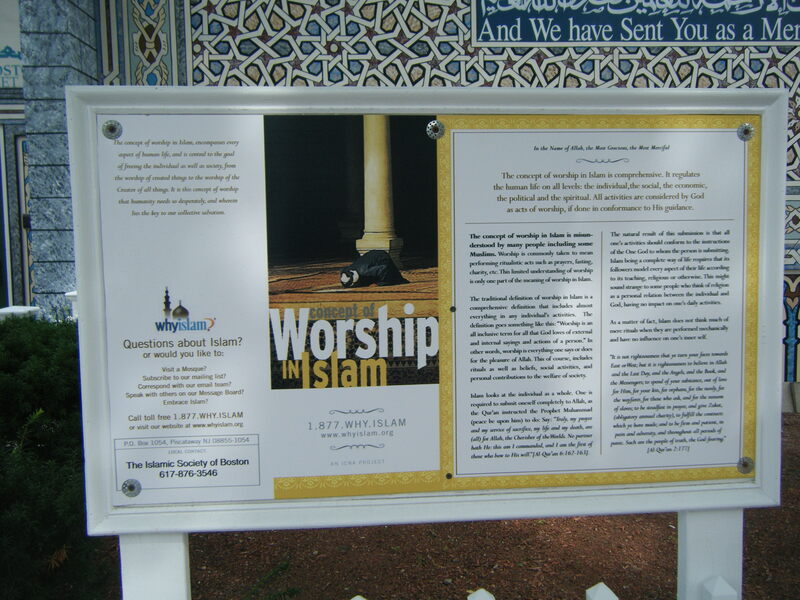 In Greater Boston, Islam encompasses a diverse group of over 50,000 adherents served by nearly fifty different mosques, schools, and community organizations. Originally composed primarily of African-American converts, the Muslim population of Greater Boston has grown to include immigrants from the Middle East, North Africa, South Asia and Southeast Asia, as well as converts of Euro-American descent and self-identified secular Muslims. The immigration of Muslims to the United States began in the late nineteenth century. Most came from Lebanon and Syria and some of these immigrants, both Christian and Muslim, settled in the Boston area in the early 1900s. Seven Muslim families settled in Quincy Point, where they worked to maintain their Islamic faith and practice. In 1934, these families joined with other Arabic-speaking Muslims in the area to form a cultural, social, and charitable organization called “The Arab American Banner Society.” From 1937 to 1952, they met in an old house at 470 South Street in Quincy. Realizing that the second generation was growing up with little Islamic identity, the Society began organizing informal religious lessons as well as Jum’ah prayers on Friday and Eid prayers on the two big feast days. 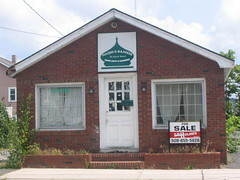 In 1962, the leaders decided to build a mosque at the South Street location. The building was completed in 1964 and was served by Mohammed Omar Awad, a first-generation immigrant and self-taught imam. During these years, the officers of the Quincy mosque took on national leadership roles in the Federation of Islamic Associations and helped other communities to organize and build mosques. 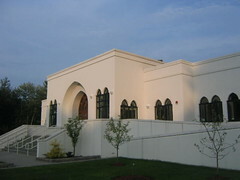 Today, the Quincy mosque is known as the Islamic Center of New England in Quincy. The 1970s and 1980s saw the establishment of several additional Islamic centers in the area. 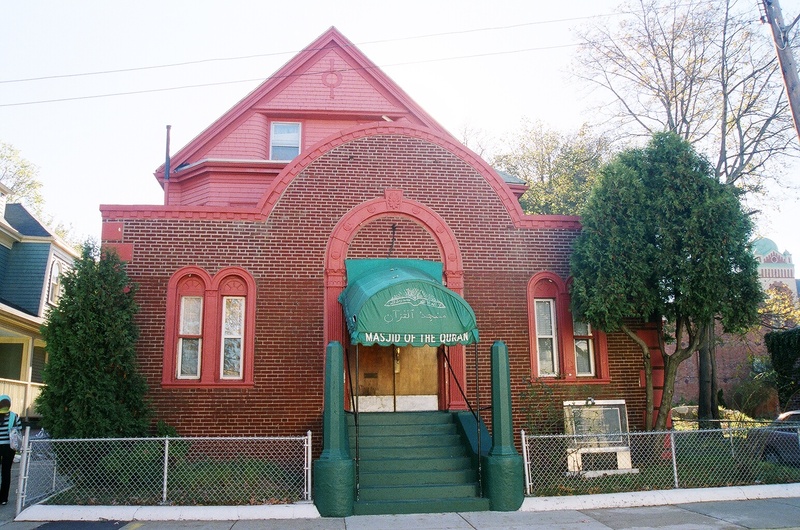 Sensing the need for a mosque more accessible to the immigrant professionals living in the western suburbs, Boston Muslims founded the Islamic Center of Boston in 1979 and purchased a house and acreage in Wayland in 1987. In 1992, the group opened a community center with a social hall and eight classrooms. 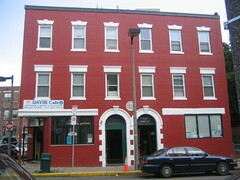 The Islamic Society of Greater Worcester also organized in 1979 and eventually purchased a former Catholic church to renovate for use as its center. Throughout New England, this was a period of tremendous growth for the Muslim community. 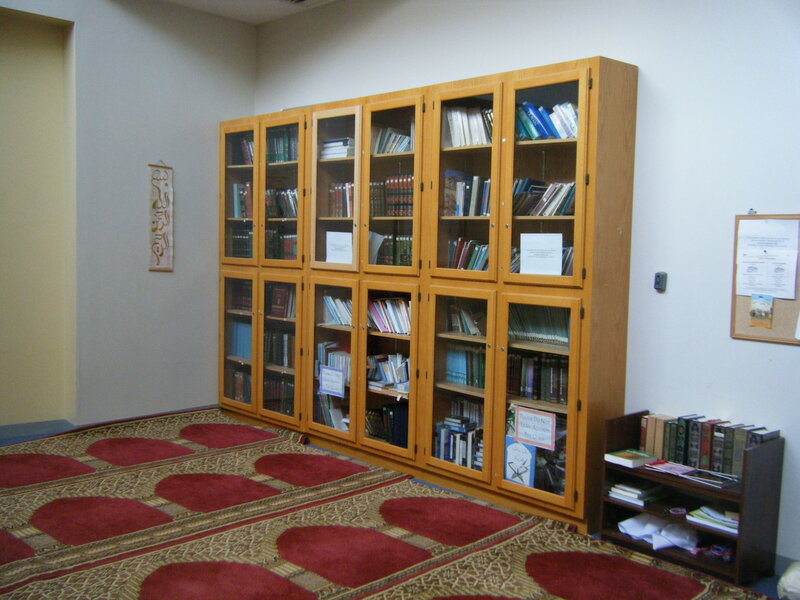 In addition to the more sizable Sunni community in the Greater Boston area, several sects of Shi’a Islam have established their own centers of worship. The Boston Nizari Ismaili Center, for instance, was founded in 1973 to serve the burgeoning Shi’a community in the metropolitan area. Initially, a small group of students would gather at MIT and then at Harvard to worship together. In 1990, out of a need for a larger prayer space, the Nizaris relocated to their current home on Commonwealth Avenue in Packard’s Corner. Ahmadi Muslims arrived in Boston in the 1960s, gathering at local homes for prayer. As numbers increased over the next twenty years, the need for a permanent center became apparent. In 1997, after more than three decades in Boston, the Ahmadiyya movement officially established its Boston Chapter in Sharon. 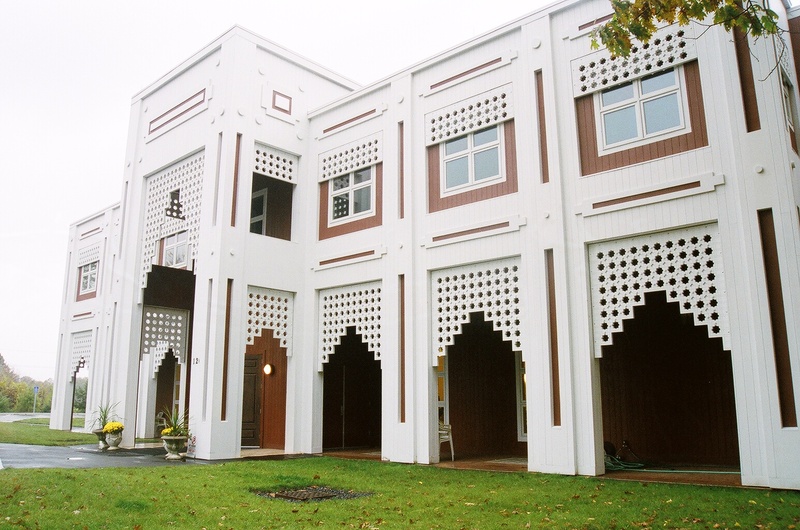 The Islamic Masumeen Center of New England was founded in 1995 to provide a home to the growing Jafari community in Hopkinton. 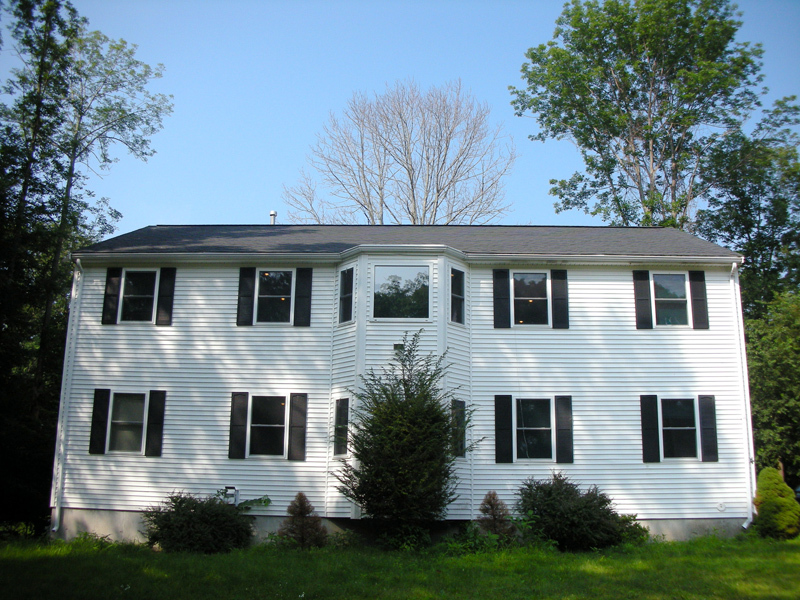 Originally serving only six families, the Hopkinton center now counts over 100 families among its regular attendees. The Dawoodi Bohra sect also has a strong presence in the area; the group originally met in Christian and Jewish worship spaces in Chelmsford, but after a resident American Dawoodi Bohra offered funding, the group moved to its new mosque in North Billerica, which was completed in 2004. This center, Anjuman-e-Ezzi, now serves over 250 members. For African-Americans, Islam is part of the spiritual heritage of African ancestors brought to the US as slaves. The faith identity of these slaves was largely suppressed until some Islamic traditions were said to have been “rediscovered,” first by Noble Drew Ali, who started the Moorish Science Temple in 1913, and subsequently by W.D. Fard and Elijah Muhammad, who launched the Nation of Islam in the 1930s. After the death of Elijah Muhammad in 1975, his son, Wallace (Warith) Deen Mohammed, led the majority of the Black Muslims along the path initiated by Malcolm X–away from the separatism of Elijah Muhammad and toward closer relations with the larger international body of mainstream Muslims. 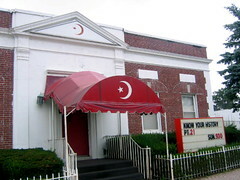 Many of the Nation of Islam temples then became Sunni mosques or Islamic centers. In 1965, a young African-American convert to Islam, Shakir Mahmoud, came to the Quincy mosque to learn more about “orthodox” Islam. He had grown dissatisfied with the teachings of the Nation of Islam, especially after Malcolm X’s break with the movement. When W.D. Mohammed began the process of steering the largely separatist Nation of Islam toward a more mainstream Islamic path, Shakir was called to teach Islamic studies at Temple #11 in Dorchester, which had once been led by Malcolm X and, later, by Minister Louis X, now Louis Farrakhan. Shakir became imam of the Dorchester mosque in 1977. Under his leadership, the community moved gradually toward the moderate and mainstream Islam espoused by W.D. Mohammed. In 1984, the name of the center was changed from Temple #11 to Masjid al-Qur’an today, the mosque attracts Muslims from all parts of the world in addition to its core African-American constituency. During the 1960s, Boston witnessed an influx of students from predominantly Muslim countries. This demographic shift coincided with the founding of the Muslim Students’ Association (MSA), the first nationwide Islamic organization, on the campus of the University of Illinois in 1963. Today there are active Islamic societies at Harvard, MIT, Boston University, Northeastern, Wentworth Institute, Suffolk, and Tufts. Some student groups, such as the MIT Muslim Students’ Association, are directly affiliated with the national MSA. Others, such as the Harvard Islamic Society, are not. There are currently a number of active Islamic organizations in New England, bringing together Muslims and providing leadership to the centers in the area. The Islamic Society of Boston (ISB) was organized in 1982 as a loose association of the independent student Islamic societies: the ISB’s goal was to assist these societies by sponsoring lectures on the political, economic, and social aspects of their religious life. The original ISB mosque, located in a renovated Knights of Columbus Hall on Prospect Street in Cambridge, stands as a striking and beautiful addition to the religious architecture of Greater Boston. The Islamic Council of New England (ICNE), founded in 1984 and now including more than thirty Massachusetts centers, sponsors an annual conference on Islamic life in the United States. The New England Imam’s Shura Council, a subsidiary of the ICNE, makes decisions about certain Islamic legal matters–such as the establishment of common prayer times–with the input of imams and other leaders from each local center. The Council also provides materials for Islamic training and children’s education, and conducts youth programs, summer camps, and sports activities. The New England Muslim Sisters Association (NEMSA) was formed in 1985 to promote “Islamic rights for women in political, economic, social and educational fields.” NEMSA sponsors an annual conference to exchange information and resources among Muslim women in the region and assists in organizing women’s events at the local level. The group also seeks to distribute accurate information about Islam and to respond to inaccurate representations of Muslims in the media. In 1999, the Muslim American Society (MAS) established its Boston Chapter, and has since become the face of Islam in Greater Boston. Composed primarily of immigrants from the Arab world, the increased influence of the Muslim American Society in Boston represents yet another step in the diversification of Islam in Boston. MAS-Boston is now based at the Islamic Society of Boston Cultural Center, where the organization serves in public relations and administrative functions for the landmark mosque and cultural center. The Islamic Society of Boston Cultural Center (ISBCC) has been a potent symbol of the development of Islam in Boston over the last decade. Throughout the history of its planning and construction, the center has been embroiled in legal and cultural conflict, and its recent inauguration was an important milestone for many of the city’s Muslims. The path to the ISBCC’s completion was turbulent: in addition to rising costs, negative press took its toll. Articles in the Boston Herald accused several ISB leaders of having ties to extremist groups. Also fighting the construction was the David Project, a group striving “to promote a fair and honest understanding of the Arab-Israeli conflict.” The David Project found a resident to file suit against the ISBCC in court, contending that the city had sold the land below market value and therefore violated the separation of church and state. The ISBCC filed its own countersuit, accusing media groups of defamation, but that suit was eventually dropped after the opposition case was dismissed in early 2007. 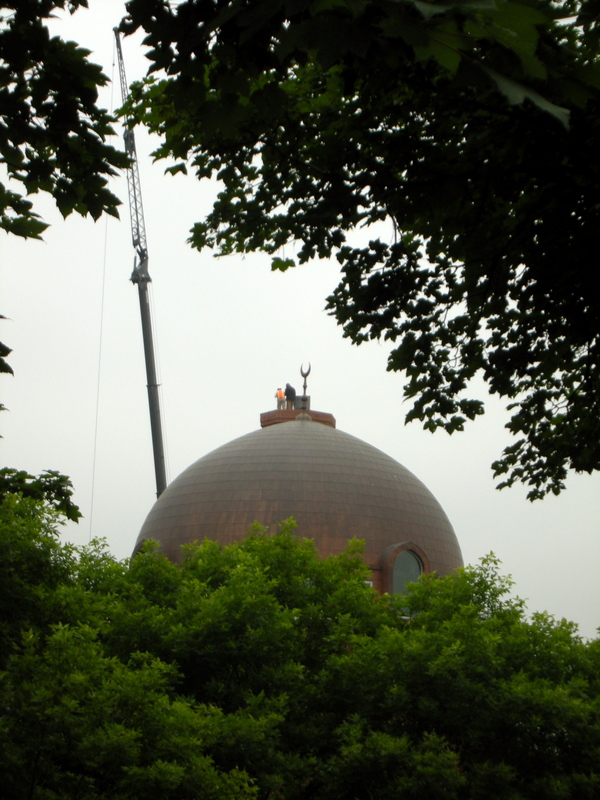 Prayers started later that year, and on June 26, 2009, the ISBCC held its public inauguration. 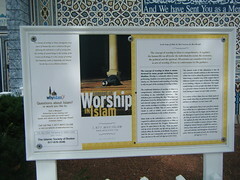 Since its soft opening in October 2008, the ISBCC has developed into an active participant in Boston’s public sphere. The ISBCC houses the offices of MAS Boston, providing a broad range of social services to Muslims as well as non-Muslims in the area. The ISBCC also plays host to many other community groups and activities, such as the summer Qur’an institute for Muslim children and a Friday night halaqah (gathering) of young Muslim professionals. 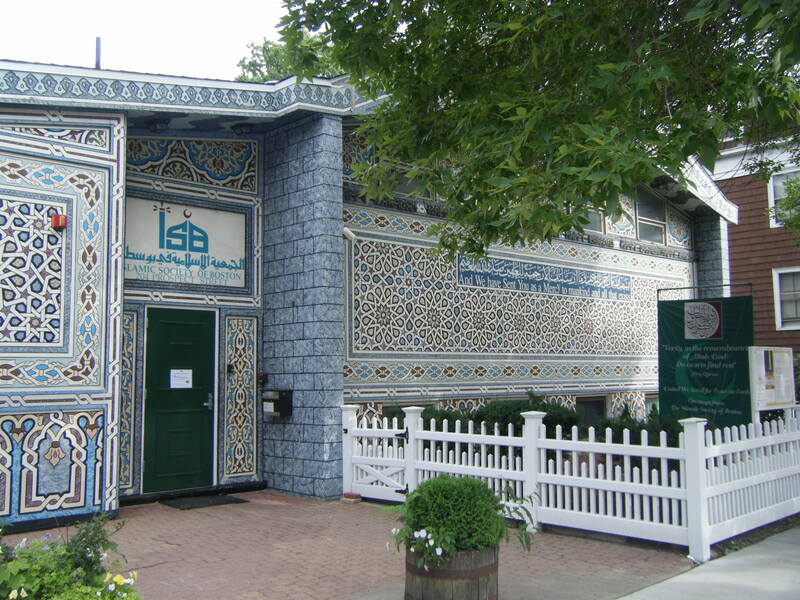 As the largest Islamic center in New England, the ISBCC is undoubtedly the most prominent landmark of Islam in Greater Boston. 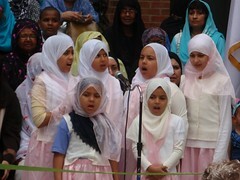 Interfaith cooperative efforts are an important part of the programming and activities of many local Muslim organizations. The Islamic Council of New England, for example, regularly participates in interfaith dialogue events with the Massachusetts Council of Churches and the National Conference of Christians and Jews. The ISBCC is also an active participant in interfaith efforts, housing an interfaith center for dialogue at its facilities. In many instances, however, Islamic outreach has been the result of individual efforts. In 1982, Talal Eid–educated in Lebanon and at Al-Azhar University in Cairo–came to Quincy, where he served as spiritual director of the Islamic Center of New England, as well as imam of the Quincy Mosque. He later became imam and executive director of the Islamic Institute of Boston, and in 2007 he was the first imam appointed to serve on the US Commission on International Religious Freedom. Today Eid serves as the Muslim chaplain at Massachusetts General Hospital and at Brandeis University (a historically Jewish institution). Within Greater Boston, he has been instrumental in developing cooperative interfaith efforts. Eid’s work is often representative of a growing trend toward interfaith work among Boston’s Muslims. For instance, through Project Nur, several local college and university student groups have organized community outreach programs, including interfaith iftars to celebrate the breaking of the fast during Ramadan. The New England Muslim Interfaith Council has similarly sponsored community events, including film festivals and a series of public lectures. The establishment of both primary and secondary Islamic schools has been a significant marker in the growth of the community in Greater Boston. Founded in 2001, Alhuda Academy in Worcester has become one of the leading full-time Islamic academies in New England, with over 100 students in pre-kindergarten through the eighth grade. 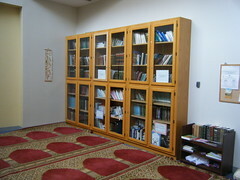 Alhuda Academy’s curriculum is designed to develop “better citizens and better Muslims” by integrating mainstream educational techniques with Islamic principles. Al-Noor Academy, located in Mansfield, was founded in 2000 and serves approximately 75 students in grades 6-12. Al-Noor Academy attempts to fully incorporate Islam into the educational process by emphasizing Islamic values through required coursework as well as through extracurricular activities. The Muslim community of Greater Boston has grown more diverse and more visible with each passing year. The fusion of immigrant and indigenous influences has shaped the city’s cultural landscape over the last several decades. As the community proceeds with new cooperative initiatives, such as the ISBCC, it can be safely assumed that Islam in Boston will continue its trajectory of growth and engagement.